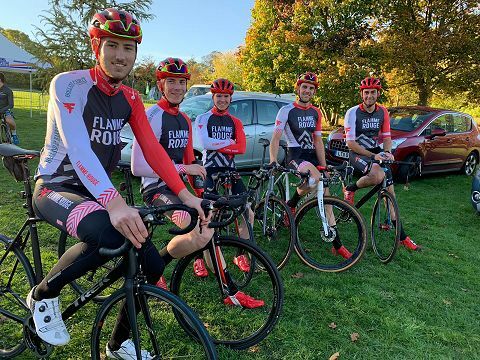 Flamme Rouge are excited to announce their cycling team for 2019. Targeting Premier Calendar, Junior National Road Series and National B events, the team has grown to 11 riders across 2 squads for 2019. They have increased the strength of their line-up of Junior and U23 riders which is in line with their team objectives of fostering young talent to develop in the sport, and hopefully winning races in the process! We are delighted to introduce our 4 new riders joining the team and bolstering squad strength. Ollie Bates, a seasoned Elite rider joins us following a season with Team Bottrill. He will be joining the senior squad targeting Premier Calendar and National B events. Matt Humpage joins from the Trek Bicycle Club, looking to step up his road presence after a strong season in the UK cyclocross leagues. Our two youngest riders join us as graduates from from the youth development powerhouse that is Welwyn Wheelers. Nathan Blackmore is a strong U23 rouleur looking to step up to the National B road race scene. Joe Bennett bolsters our Junior ranks, along with Riley and Alexi, is targeting success in the Junior National Road Series. Will Scott and Matt Exley continue in their 3rd year in the squad and are looking to extend their winning ways into National B and Premier Calendar races. Ashley Cox and Jack Steel-Jessop are looking to add to their road racing calendar with strong performances in time-trials through the season. Riley Searle, Alexi Edwards and Billy Fadden are planning to continue their success on the regional road racing scene with the juniors stepping up and looking for good results in the Junior National Road Series. After our annual team training camp in Calpe, Spain, the team will be starting their domestic race campaign in March. The newly expanded team enables us to have 2 squads racing on most weekends. Our senior squad will targeting National B and Prenier Calendar events. The highlights of the year being the Rutland Cicle Classic and the National Championships in June, where Ashley achieved a top 10 position in the time trial in 2018. 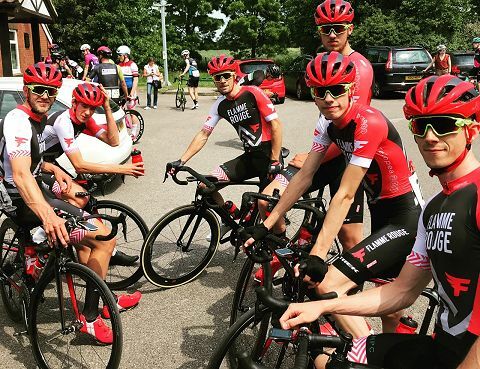 Our development squad of U23 and Juniors are targeting Regional A and Junior National Series events as well as travelling to selected European races in Belgium and Holland through the season. The further development of the team has only been possible due to the generous support of our team sponsors. Flamme Rouge Cycles in Bedford will act as the service course through the season supplying staff, team Trek bikes and Bontrager equipment. Holland & Barrett continue their generous support. The team will be working with them on nutrition and to further their charitable fund raising through the Holland & Barrett Healthy Hope foundation. We are grateful to Telopea MSL, a Bedfordshire healthcare management company, who continue their relationship with the team. The University of Bedfordshire Human Performance Centre is working even more closely with the team for 2019, providing performance testing and resources for the team. The team will also be using their on site facilities in Bedford for virtual altitude training. We have new support from the best equipment sponsors in the cycle trade as we aim to have the best equipment for the team when racing and training.